Everybody wants a loving relationship,… but few people are really open or prepared for the ongoing commitment and challenge of shadow work i.e. to take full responsibility for our own projections, inner wounds and personal healing. Relationships are so important because the deeper we are connected to someone physically, emotionally and spiritually – the greater the opportunity or catalyst for healing our inner child and transforming our core wounds. Without this awareness, we may continue to protect or react from our wounds (hurt inner child) through becoming defensive, angry and blaming others, shutting down or avoiding intimacy altogether. If we pretend that everything is wonderful and perfect on the outside, we deny ourselves the sacred opportunity to work with the truth – the unpleasant emotions that get triggered in us. It is only through acknowledging that our shadow/wounds exist, that we can begin to grow towards being more authentic and truthful with ourselves and others. The truth is, we need relationships to trigger the wounds we have protected and tried to bury deep within our unconscious. As children, we developed unhealthy patterns and behaviors to survive our family and societies circumstances. However, as adults we have a responsibility to consciously work with our history, our family story, our inner child, so that we do not continue to pass on our unhealed past and wounds. 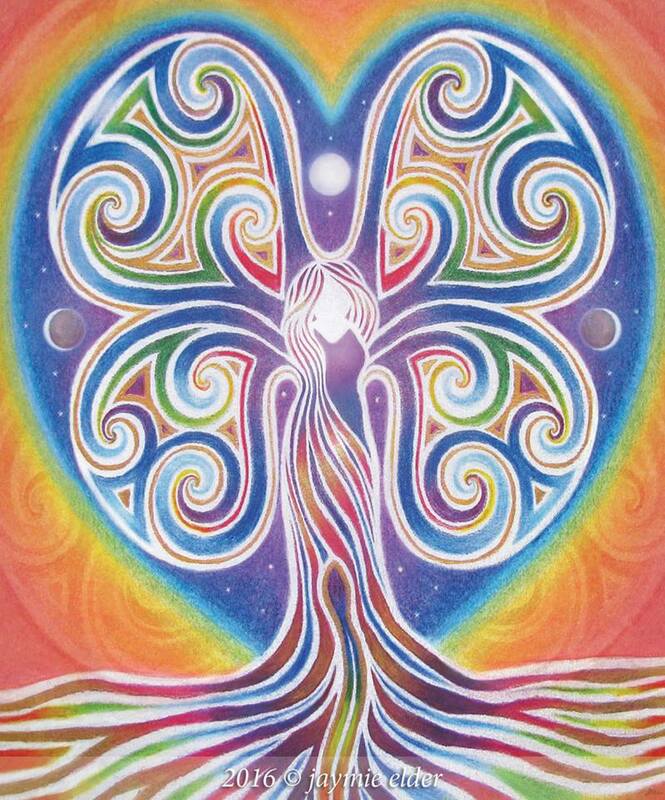 Our soul acts like a magnet to attract the perfect partner and circumstances for healing and transformation to occur. As we work with the opportunities a soul partner offers us to heal and grow, we can embrace our shadow with love, forgiveness and soul understanding. As we continue with this work, we open ourselves towards a deeper capacity to feel and share love. The most important relationship we will encounter in our life is with ourselves, first! If we can not be honest to ourselves, how can we be honest with another? In a nurturing and loving relationship with the Self, we acknowledge our shadow in a way that we do not critise or judge ourselves harshly. We understand its purpose for being there – so that we may grow. In an honest, conscious relationship both partners know that we touch each other’s wounds – and therefore the relationship can offer us a powerful tool for healing, growth and transformation. It is of course always our choice how deep we wish to go and how much we wish to face, transform and heal on our own journey. The true gift and fulfilment of journeying with someone who is open for all of this – someone who also has a good sense of humour, sensitivity, honesty and capacity to love – is the solidity, strength and union you build overtime within yourself AND together as a couple. My work is to support people on their soul journey. I am dedicated to my own personal healing and shadow work in a relationship with Juerg Dreamturtle (we have been journeying, travelling, creating and doing this healing/shadow work together for 11 years). We do not pretend to be perfect because we know we can always continue to heal and grow more. Juerg and I share a core belief that our inner work of healing and growing is the most important, beneficial part of our journey we can devote ourselves to in this life…not only for ourselves and our relationship, but for all people and Mother Earth. Both Juerg and I offer support for individuals/couples through personal sessions. Sessions are available internationally via skype. Copyright Jaymie Elder and Juerg Dreamturtle 2016. Are you longing for a Soul Relationship? What is a Soul Relationship? 2016 has seen many partnerships come apart,… whether through separation or the loss of a loved one from the physical earth plane. In this article, I share about the work which both myself and Juerg believe is most important. I hope that in 2017, many more of us will embrace a new “soul understanding” of how we can heal and grow through the obstacles, challenges and opportunities, which our relationships offer us.